The American Legion Memorial Bridge ( the "Jaws Bridge") named for its appearance in the movie Jaws, filmed on Martha’s Vineyard. 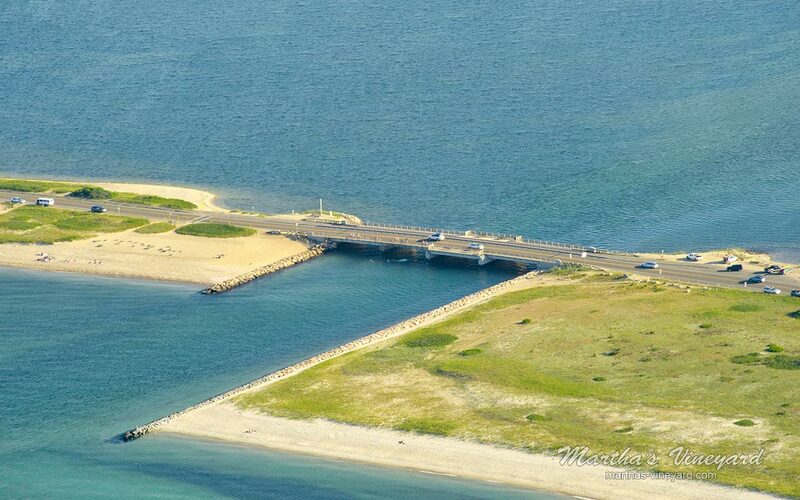 the bridge is located on Beach Rd connecting Edgartown and Oak Bluffs. Lots of kids and adults make their summer splash by jumping off of Jaws Bridge.